The 66-million-year-old fossil is the centrepiece of this blockbuster exhibition which also features a range of exciting interactive exhibits. Seeing an exhibition as big as T.rex in Town can give you a monster appetite! 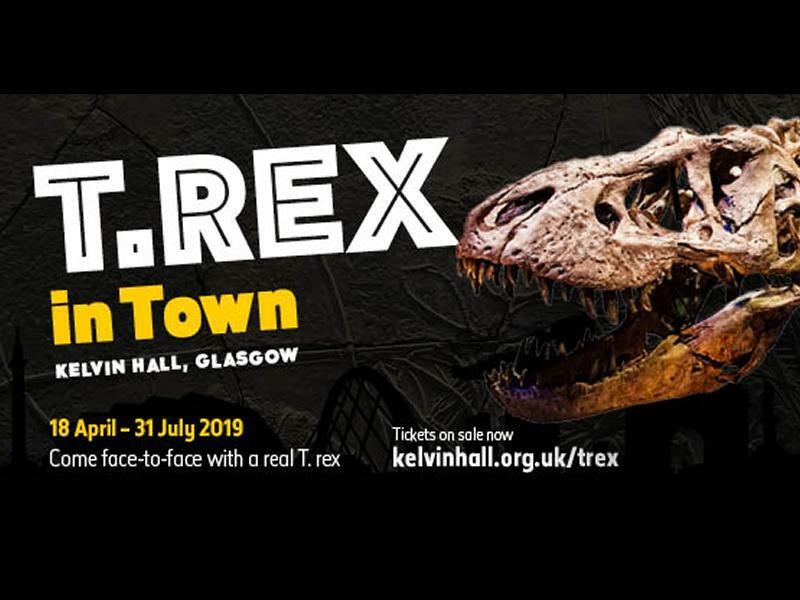 Luckily Glasgow street food favourites the Big Feed will be popping up at Kelvin Hall bringing with them some of their most popular traders serving up dino-themed dishes. The Big Feed will be serving up hot food, artisan coffee and sweet treats every day during T.rex in Town. While we take every opportunity to ensure the details for T.Rex in Town are accurate, we always advise that you contact the event organiser before setting out for the event to avoid disapointment.